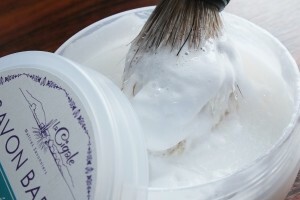 Mechanical shaving, usually called “wet shaving”, gives the best result in term of efficiency and respect of the skin. Up until the middle of the 20th century, shaving is made with a “shaving soap”, a “shaving brush” and “a Straight razors”, also called “Cut-throats”, a name historically given to short swords. 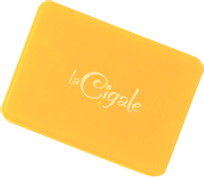 The soap factory “La Cigale” wanted to bring back a forgotten traditional product to life, simple, efficient, ensuring an optimum protection of the consumer, readily biodegradable and sustainable. 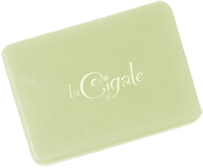 This product is manufactured in our workshops by our Master Soapmakers, obtained by saponifying fatty acids with a traditional mixture of lye and potash. The key to a good wet shaving is skin’s moisturization. Our product is enriched with glycerin and Aloe Vera. A simple rinsing of the face with clear water will preserve your skin’s moisturization all day long. We added to our mixture a 100% organic lavender slight note, allowing you to use your favourite eau de toilette. This product is hot-poured in an unbreakable and sealable bowl. You can take it with you on your trips and for 5 months. 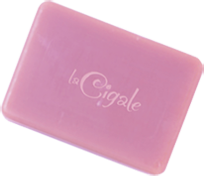 Like all of our products, our shaving soap is certified “French Origin Guaranteed”. Lightly wet your face with warm water. Wet the shaving brush with lukewarm water and swirl it around on the shaving soap. Lather the cream onto your face using a circular motion throughout your beard. Shave slowly and rinse your face with lukewarm water. Rinse thoroughly the shaving brush, flick it or wipe it gently to remove remaining water.